Good news to seafood lover! 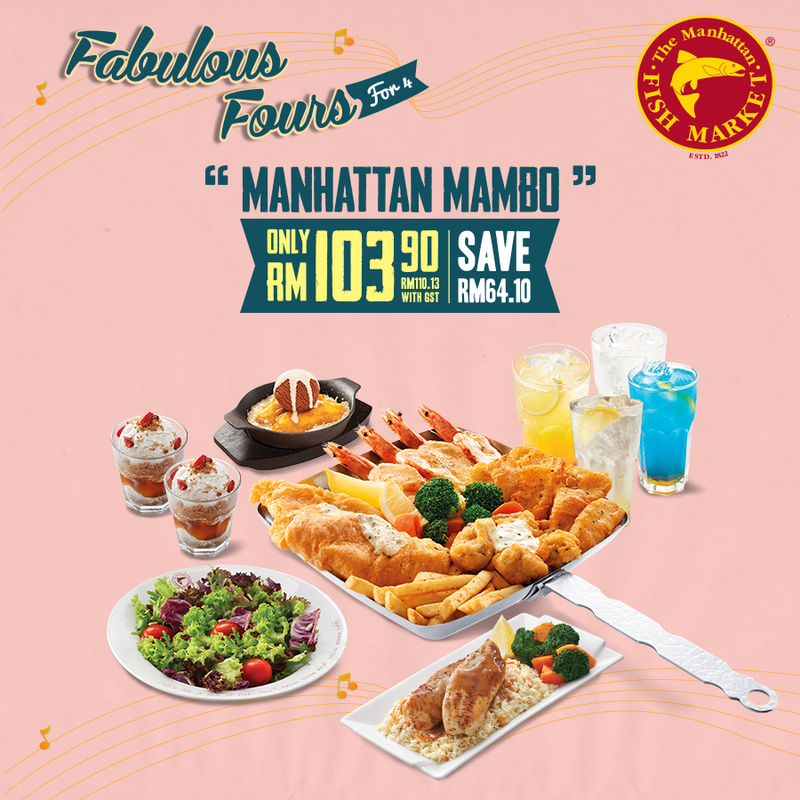 You will be happy with this news because Manhattan Fish Market (MFM) has brought back its Greatest Hits promotion that highlights the tastiest combinations of fish, prawns, calamari, crabs, oysters and much more! I'm here to tell you to promote you will be amazed that this luscious MFM's Greatest Hits tastes so good! So, here you go! There is an option of Swinging Singles for solo diners, Delightful duos for couples and Fabulous Fours for family and friends. 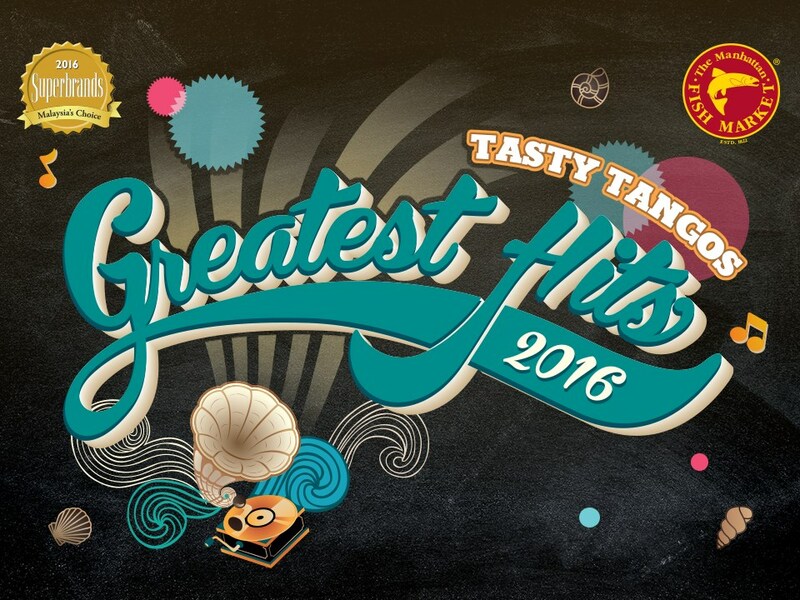 The highlights of this year’s Greatest Hits have to be the French Waltz, which is from the Fabulous Fours. 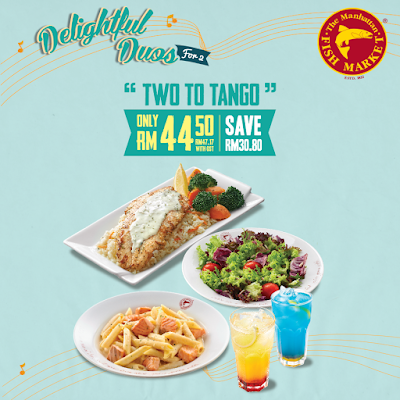 Both these combos come together with the French Crab platter. 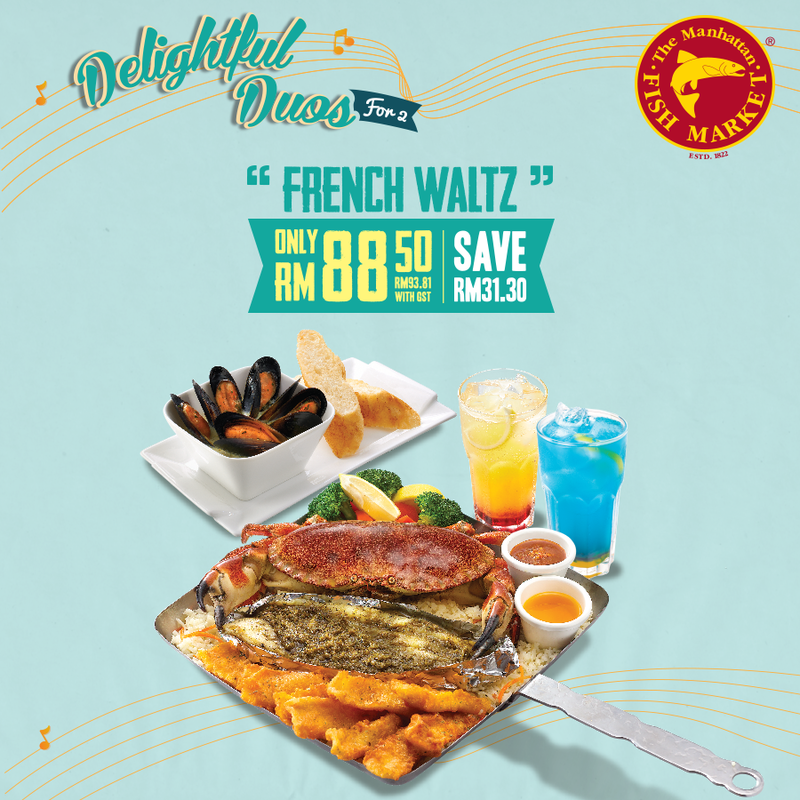 If you’re a crab lover, then you should try this one dish which is quite different from the ones you usually get at local restaurants. Trust me, this recipe is wonderful, you really taste the crab. You know you're drooling now! The French crab has a much harder shell and thus, it is recommended you don’t try biting into it as you would other crabs. You must be excited to taste the meat as it has a rougher texture and at the same time, you can taste its sweetness. Besides that, the crab is big in size, each crab is said to weigh between 800 g and 1 kg, shows that there’s quite huge of crab meat for you to enjoy. The crab is completed with mixed vegetables, garlic herb rice, fried calamari and a baked fish. 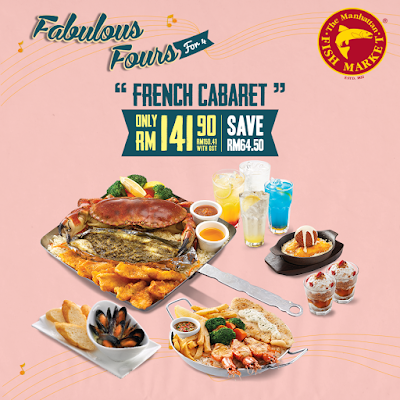 The primary difference between the Waltz and Cabaret (besides the price, of course), is what else you receive with the combo where you’ll get a single serving of the superb tasty garlic herb mussels and two mocktails, as for the Waltz. While for the Cabaret, you’ll get a Small Flame which comes with juicy. 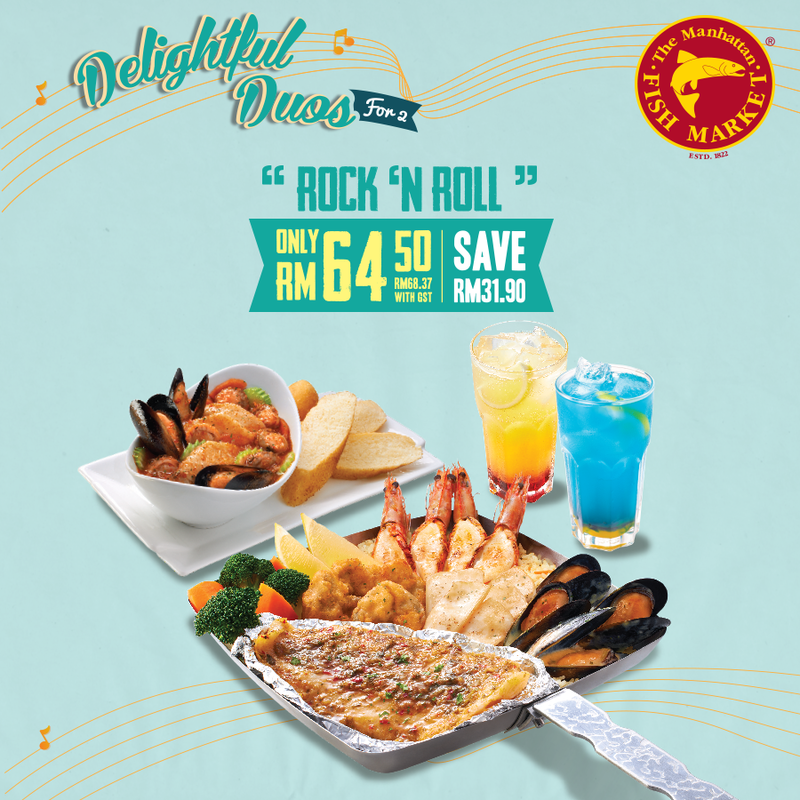 Manhattan flaming prawns, a grilled dory fillet, chips, veggies and even more garlic herb rice! You're going to fall head over heels in love with this menu. If you think the portion is not enough for you, the Cabaret also comes with a sharing-sized serving garlic herb mussels, and for the desserts, there are the lustful sizzling banana fritters with ice cream and two super fruit crumbles. You get four mocktails too. 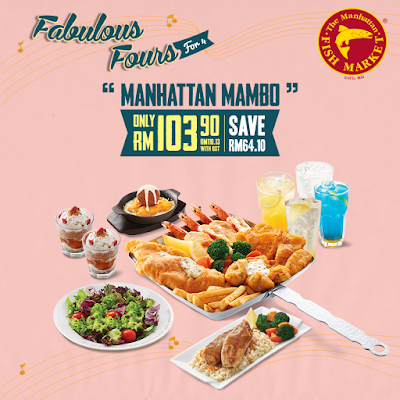 Other than that, there are Manhattan Mambo too that comes with the restaurant’s signature Manhattan Flaming Seafood Platter, the peppery cherry snapper, mesclun salad as well as desserts. You can try on Two to Tango combo that served with grilled glory dory, creamy salmon penne and mesclun salad. (This is made specially for those who are not into peeling and smashing through tough shells). The best thing is these items are available for takeaway. Some of you find it more convenient to bring food home. 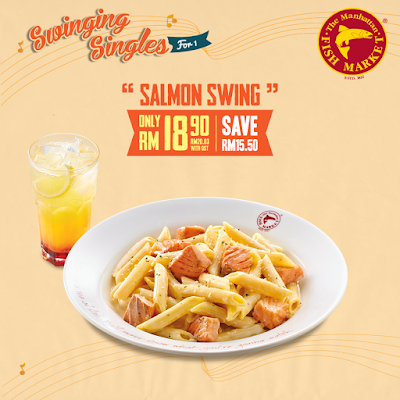 So, you absolutely can enjoy your meal comfortably at home. 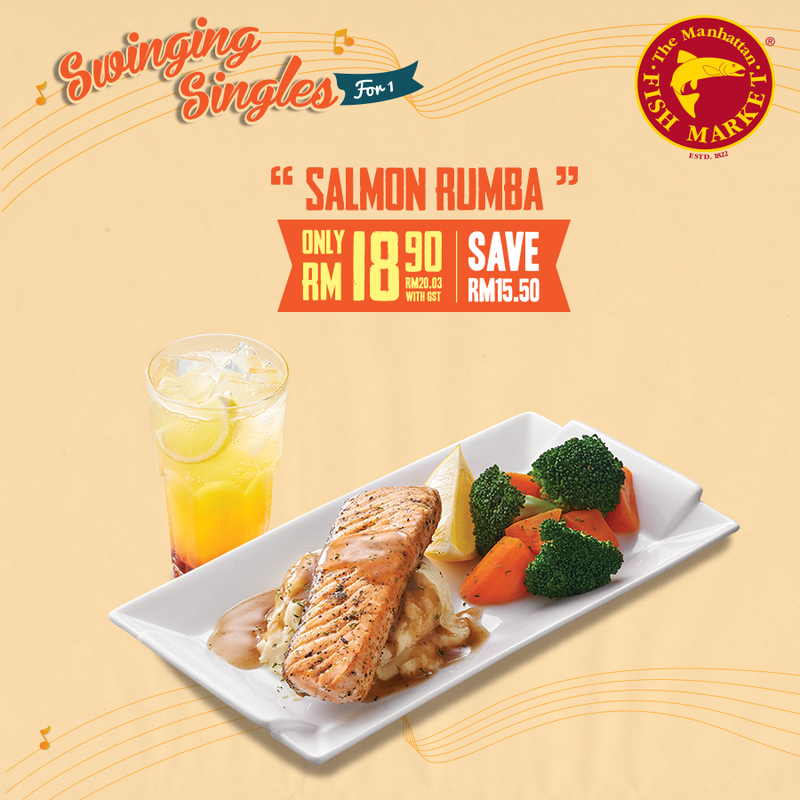 In addition, you can get a free upgrade from dory to salmon for the Salmon Chachacha and Salmon Rumba dishes from the Swinging Singles meals which you save up to RM6 each! What are you waiting for? 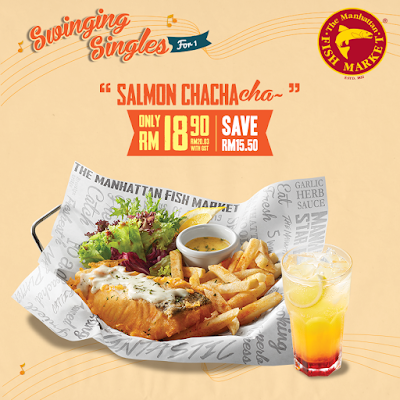 Go and attack now as this Manhattan Fish Market’s Greatest Hits is available at all outlets except at Aeon Mall Tebrau City in Johor and Cenang Mall in Langkawi. Try it now. Don't ever say that I didn't warn you.